It's not the main reason people visit this section of Botany Bay - neighbouring Bare Island and its historic fort draw far bigger crowds - but I think Congwong Beach is still worth a look if you happen to be in the La Perouse area. Particularly if you have kids. 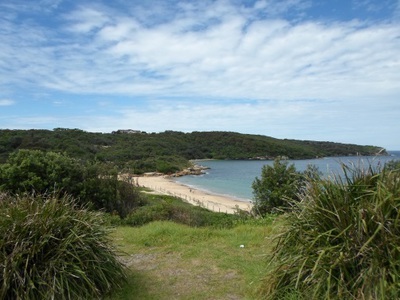 The beach is very accessible, being located only a short 100 metre walk from the car park on Anzac Parade that it shares with nearby attractions. As well as Bare Island, these include La Perouse Museum and Little Congwong Beach. The walk down to the water consists of a few stairs and a sloping concrete path that eventually gives way to a much steeper, sandy section. Fortunately this part's not that long. 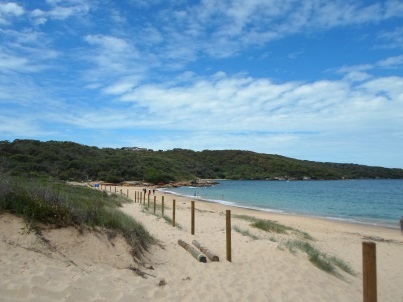 Congwong Beach is pretty small and doesn't seem to draw big crowds. I visited on Easter Sunday and the place was far from busy, with the water pretty much deserted. Part of the reason may be that it isn't a good place for surfing or boogie boarding, since waves barely lap the sand. Instead, it's best for people who want to relax on the sand with a good book or spend an hour or two snorkeling. Families with younger kids would get a lot out of a visit here, too. Parents won't have to worry about the young ones running off and getting lost among crowds, and the water is perfect for them. 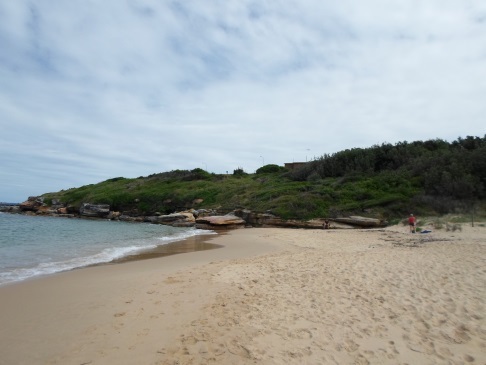 While Botany Bay is quite an industrial place, you wouldn't know it from Congwong Beach, which is located within Kamay Botany Bay National Park. In fact, the only parts of Botany Bay you can see from the beach are other sections of the park, so you feel quite secluded. 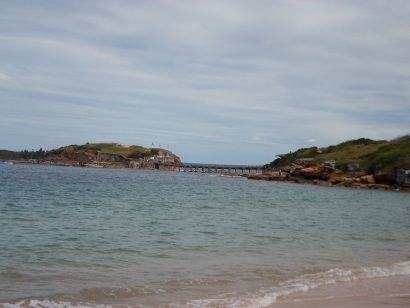 Relaxing on the sand, you look out at the entrance to Botany Bay, including both its northern and southern headlands, and you also get a great view of Bare Island. These views are an advantage of the beach's location within a bay: there is more than just a huge expanse of ocean to see. 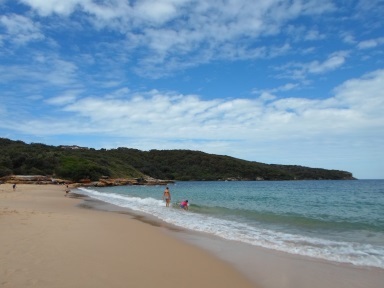 Congwong Beach gets far less attention than its neighbour, Little Congwong Beach (where clothing is optional, as I was surprised to found out). However, for most people, it's probably the one you want to visit, especially if you're looking for a place to relax with your kids.